A Vamplet 읽기 Eclipse. 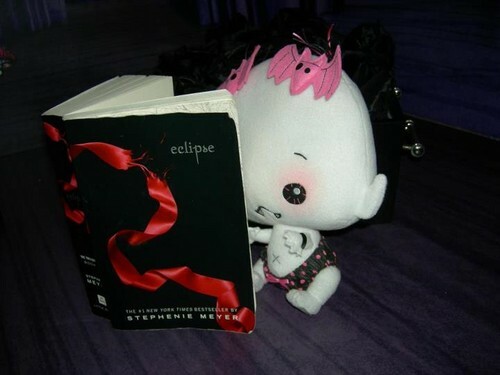 Lily Rose 읽기 Eclipse, determined to find the baby Vampire. HD Wallpaper and background images in the 트와일라잇 시리즈 club tagged: twilight saga eclipse book vamplet lily rose reading doll renesmee. This 트와일라잇 시리즈 photo might contain 기호, 포스터, 텍스트, 칠판, 사인, and 서명.